A photo can act like a time machine set on mute. In a instant it can send you through time, replaying different moments and scenes, sometimes even playing on your senses–but you can do nothing but watch. That even though I have no answers to a long list of why’s it is all still worth it. Sometimes I have to remind myself several times a day. This cheap wally world studio shot is our first family photo. I remember trying to find matching clothes for two teens and a toddler, being frustrated but excited that I even had the opportunity at all. 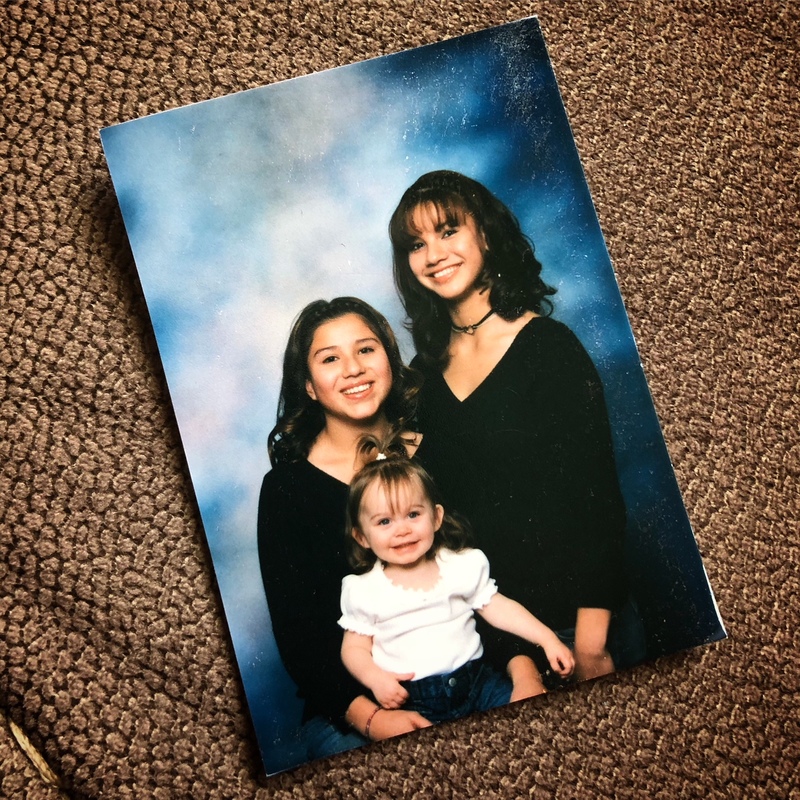 I remember Ariana and Rachelle allowing me to curl and braid their hair for the very first time–humoring me in my desire to dress them up like dolls (see age 25). I remember staring at them while the photo was shot, overcome with emotion, and in awe of how beautiful all three of them were. They were not yet officially ours at the time of this photo…that would be a long road…yet they were ours. They were already sealed in our hearts, forever. and I have been learning how to fight for them ever since.